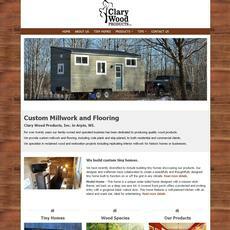 View some of our Manufactured in Wisconsin Website Clients. A & D Machine Tool Rebuilding provides machine tool rebuilding, way machining and hand scraping, and turcite/rulon application. They provide service calls to your facilities. 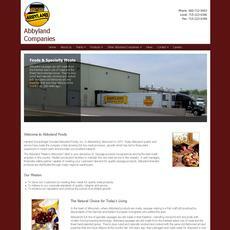 Abbyland, Inc. has over 1000 employees working in 8 divisions. Abbyland Foods manufactures a wide variety of cooked meat products in state-of-the-art continuous oven lines in addition to our traditional fresh and smokehouse sausage products. 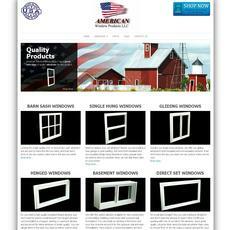 American Window Products manufacturers high quality custom windows, basement windows, barn sash windows and more. 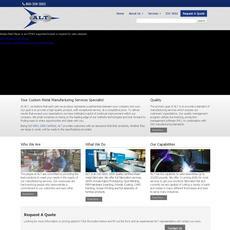 We provide great products & service at affordable prices. Order our American made high quality windows today. Being ISO 9001:2008 Certified, ALT provides customers with an assurance that their products, whether they are large or small, will be made to the specifications provided. 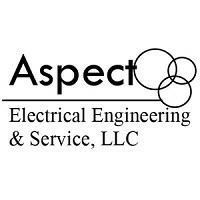 Aspect Electrical Engineering focuses on providing industrial control packages, controls modifications, control panel fabrication, and industrial programming for the Chippewa Valley and surrounding areas. 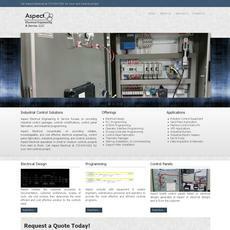 Call 715-834-5201 for your next controls project. 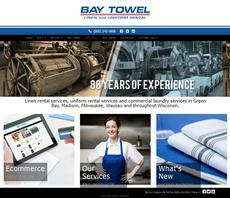 Bay Towel provides linen rental services, uniform rental services and commercial laundry services to customers in Green Bay, Madison, Milwaukee, Wausau and throughout Wisconsin. They are a family-owned commercial laundry that rents uniforms, table linens, towels, bed linens, mats, medical linens & uniforms to businesses. 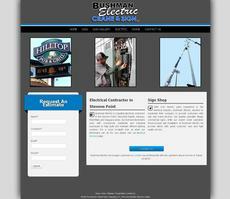 Bushman Electric is a leading electrical contractor in the Stevens Point, Wisconsin Rapids, Wausau, Marshfield, and Waupaca areas. Our licensed electricians work with commercial, residential and industrial businesses to help build and maintain efficient lighting systems. 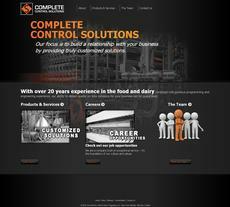 Compelete Control Solution our focus is to build a relationship with your business by providing truly customized solutions. 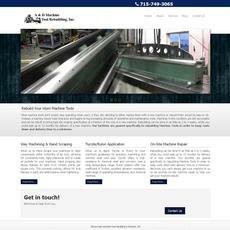 Complete Filtration Resources Inc has been providing filtration solutions since 1993. 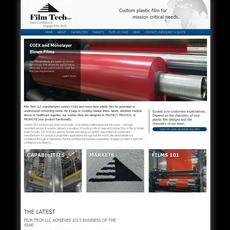 CFR offers the process engineering technology to match. 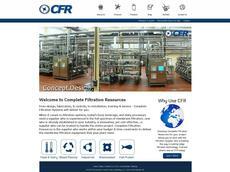 CFR is a one-stop supplier of the most advanced membrane filtration technology available. 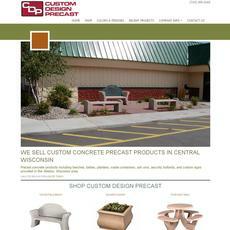 They sell custom concrete precast products in Central Wisconsin. Precast concrete products including benches, tables, planters, waste containers, ash urns, security bollards, and custom signs provided in the Weston, Wisconsin area. 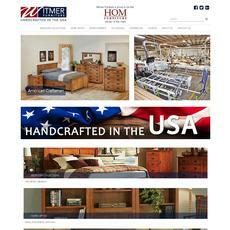 We have been a manufacturer of custom crafted interior furnishing products since 1953. In the six decades since then, we have grown into a world-leading manufacturer that supplies high quality custom made decor products for the hospitality and, most recently, the healthcare industry. Combining that history with a dedicated commitment to our customers, our responsive customer service department provides you with the exceptional results you demand to complete your project. 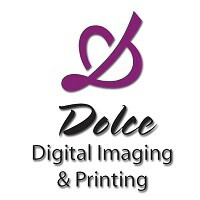 Dolce Printing is not only a full service Printer but we also offer the full spectrum of copying services as well. From one copy to a full color print job we do it all. Through the years we have continued to evolve with the times to meet the needs of our customers. Just some of the additional services that have been added over the years to meet those needs are graphic design services, a full line of digital services from copying to full color digital printing and most recently a full array of mailing services including bulk mail. 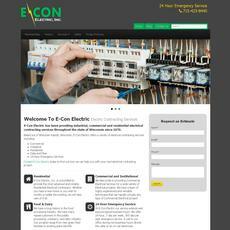 E-Con Electric has been providing industrial, commercial and residential electrical contracting services throughout the state of Wisconsin since 1970. This 3,250-lb. zero turn, towable/drivable scissor lift features auto-leveling and both slab and rough-terrain capabilities. Electric power, power is provide by 4 Group 31 batteries, this system is configured to 24 volts to provide long lasting power. The unit features a 7-foot 2-inch loading height with a swing radius of 140 degrees, allowing easy digging access next to walls and other obstructions. The TMX offers a 72-inch, 4-way blade system for efficient backfilling and grading after excavation work is complete- while providing a stable platform for digging. 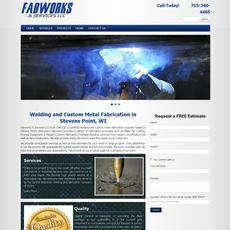 Fabworks & Services LLC is an AWS QC:1 Certified welding and custom metal fabrication company based in Stevens Point, Wisconsin. 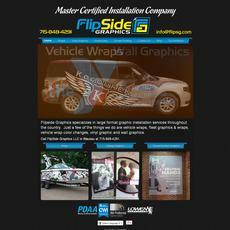 Flipside Graphics specializes in large format graphic installation services throughout the country. Just a few of the things they do are vehicle wraps, fleet graphics & wraps, vehicle wrap color changes, vinyl graphic and wall graphics. 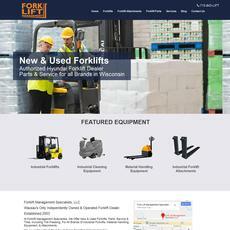 Forklift Management Specialists LLC of Marathon, WI specializes in the sales, service, and repair of new and used Hyundai Forklifts and accessories. 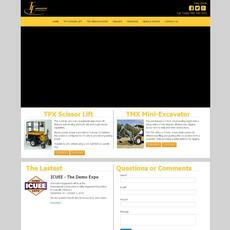 They Offer Parts, Service & Tires For All Brands of Industrial Forklifts, Material Handling Equipment, & Attachments. 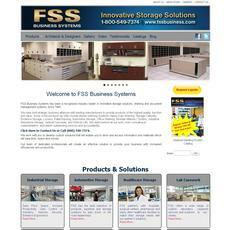 FSS Business Systems has been a recognized industry leader in innovative storage, shelving and document management systems, since 1945. They serve the following markets: Healthcare, Library, Military, Automotive, Financial, Government, Manufacturing, Warehouse, Education, Public Safety, Museums and Distribution. 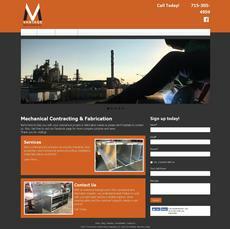 We offer containment systems and pipe stands. Contact us for more information. Krukowski Stone Company is a Wisconsin quarrier and manufacturer of natural stone products, specializing architectural full and thin building stone, cladding panels, countertops slabs, paving stone, landscaping stone and more! 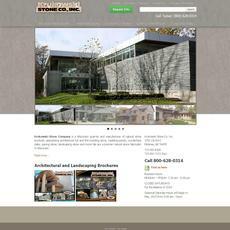 They are a premier natural stone fabricator in Wisconsin. 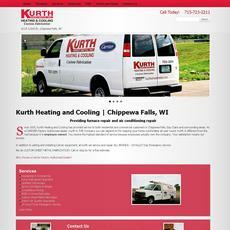 Since 1935, Kurth Heating and Cooling has provided service to both residential and commercial customers in Chippewa Falls, Eau Claire and surrounding areas. As a CARRIER Factory Authorized dealer, Kurth is THE Company you can depend on for keeping your home comfortable all year round. 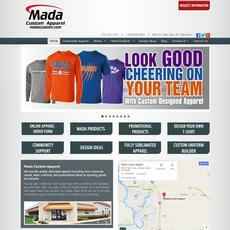 Mada Custom Apparel provides quality decorated apparel including from corporate casual, team uniforms, and promotional items to sporting goods and awards. You can also create your own custom tee, with their online t-shirt designer. They print them with their state of the art Digital printer. It is eco-friendly with water based inks. Browse their Design Ideas which are full of all sorts of Athletics Logos to get some ideas on creating your custom tee. 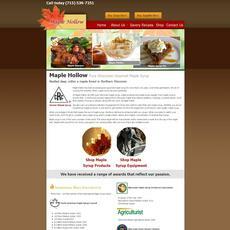 Nestled deep within a maple forest in Northern Wisconsin Maple Hollow has been producing pure gourmet maple syrup for more than 125 years. Over three generations, the art of cooking the sweetest, finest, maple syrup has been perfected. Marathon Label products include custom labels, stickers, and tags; everything from packaging labels to industrial tags to sewn-in tags to static cling. Merrill Manufacturing Corporation is a total quality provider of manufacturing services at the lowest total cost and returning a fair profit, committed to continuous improvement in fulfilling the needs of customers and employees. 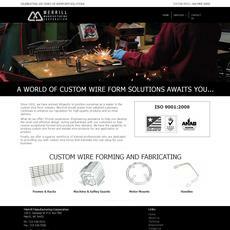 Since 1916, Merrill Manufacturing has worked diligently to position themselves as a leader in the custom wire form industry. Word-of-mouth praise from satisfied customers continues to enhance their reputation for high-quality products and on-time delivery. 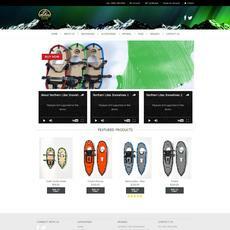 Since 1992 Northern Lites has been making the World’s Premier brand of snowshoes that allow your mind to focus on your surroundings, not what’s on your feet. At one-half the weight of other aluminum frame or plastic snowshoes, you just can’t imagine how easy snowshoeing can be, it’s a totally new sport when on Northern Lites. 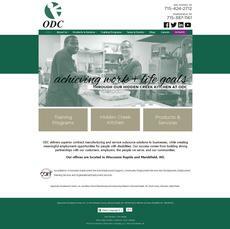 ODC delivers superior contract manufacturing and service outsource solutions to businesses, while creating meaningful employment opportunities for people with disabilities. Their success comes from building strong partnerships with our customers, employers, the people we serve, and our communities. 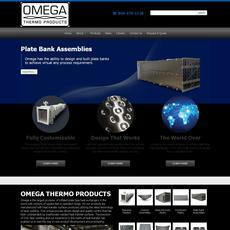 Omega is the largest producer of inflated plate type heat exchangers in the world with millions of square feet in operation today. All our products are manufactured with heat transfer surfaces produced utilizing the latest technology of laser welding. This unique process allows design and quality control that has been unobtainable by traditionally welded heat transfer surfaces. The precision of CNC laser welding and our experience in the realm of heat transfer has enabled us to lead the way in new product development and prototyping. 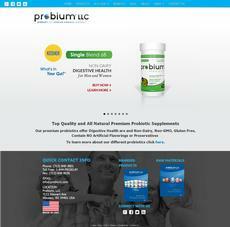 Probium®, LLC, Wausau, Wisconsin, USA is a probiotic company established in October 2013 to manufacture probiotic products and market them all over the world. Probium®, LLC’s mission and goal is to provide top quality probiotic supplements at an affordable price to enhance the quality of life of all human beings. 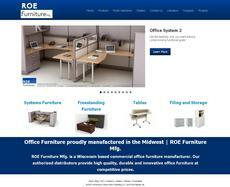 ROE Furniture Mfg. 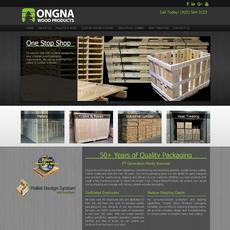 is a Wisconsin based commercial office furniture manufacturer. 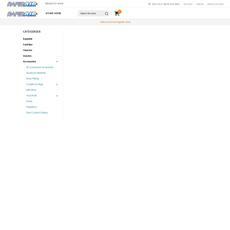 Their authorized distributors provide high quality, durable and innovative office furniture at competitive prices. 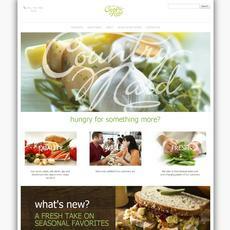 They are a forward thinking company, always coming up with the best solutions their clients' needs. Discover how ROE Furniture Mfg's product offering can create the office environment you imagined and save you thousands of dollars. As a leader in the wire harness industry, Schofield Enterprises manufactures the highest quality products and provides the best possible service to their customers. There are many ways to drive traffic to your website but there is no use spending money to send thousands of visitors to a site that isn't effective. 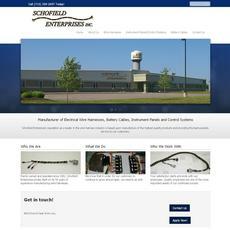 Schofield Enterprises had Virtual Vision produce an effective website with Keyword City Dominator(KCD) marketing aka Local Google Search Engine Placement. 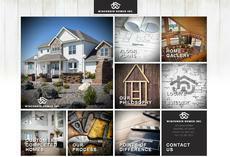 The KCD marketing drives traffic to their new website producing strong results. 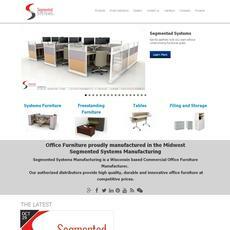 We are a US based commercial office furniture manufacturer. Our authorized distributors provide high quality, durable and innovative office furniture at competitive prices. 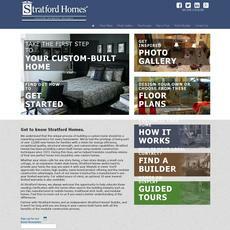 Since 1973, Stratford Homes has built more than 10,000 custom modular homes, each one carefully crafted for its customers using the latest knowledge, methods, and materials to deliver quality and savings through construction efficiency. 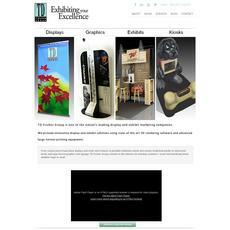 TD Fischer Group is one of the nation's leading display and exhibit marketing companies. They provide innovative display and exhibit solutions using state-of-the-art 3D rendering software and advanced large-format printing equipment. 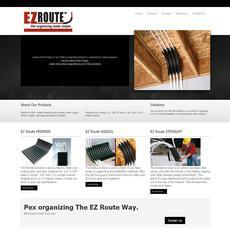 The EZ Route Premier, Routing, or Straight PEX routing is ideal for in-floor radiant heating and domestic water supply where a stable, self supporting base is needed. 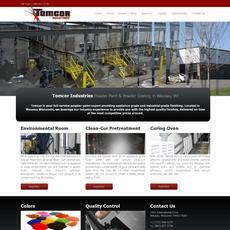 Tomcor is your full-service powder-paint expert providing appliance grade and industrial grade finishing. 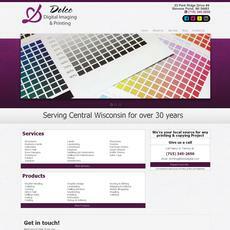 Located in Wausau Wisconsin, we leverage our industry experience to provide you with the highest quality finishes, delivered on time at the most competitive prices around. Van Ert Electric has been making a difference through performance since 1964. We are an established leader in the electrical industry for the upper Midwest and have performed numerous successful projects throughout the nation. We are pleased to offer our customers a broad range of services from low voltage telecommunications systems to high voltage distribution installations. 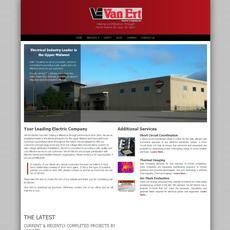 Van Ert is committed to providing a safe, quality and cost effective service to our customers. 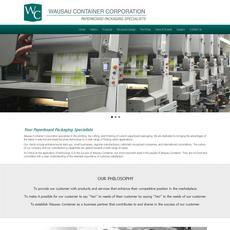 Wausau Container Corporation specializes in the printing, die cutting, and finishing of custom paperboard packaging. We are dedicated to bringing the advantages of the latest in web-fed and sheet-fed press technology to a wide range of folding carton applications. Our clients include entrepreneurial start-ups, small businesses, regional manufacturers, nationally recognized companies, and international corporations. 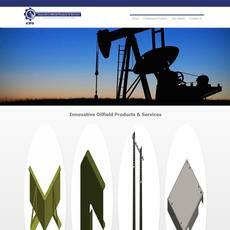 The culture of our company and our manufacturing capabilities are geared towards a wide range of needs. As critical as the application of technology is to the success of Wausau Container, our most important asset is the people of Wausau Container. 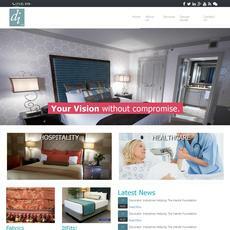 They are involved and committed with a clear understanding of the essential importance of customer satisfaction. During the last 47+ years, Wisconsin Homes has maintained a tradition of building some of the finest homes on the market. Every year we focus on improvements which protect the strengths that separate us in the marketplace. As a privately owned company we work extremely hard to maintain the highest level of trust possible with our customers. We believe building mutually beneficial relationships has been and will continue to be our most valuable assets.